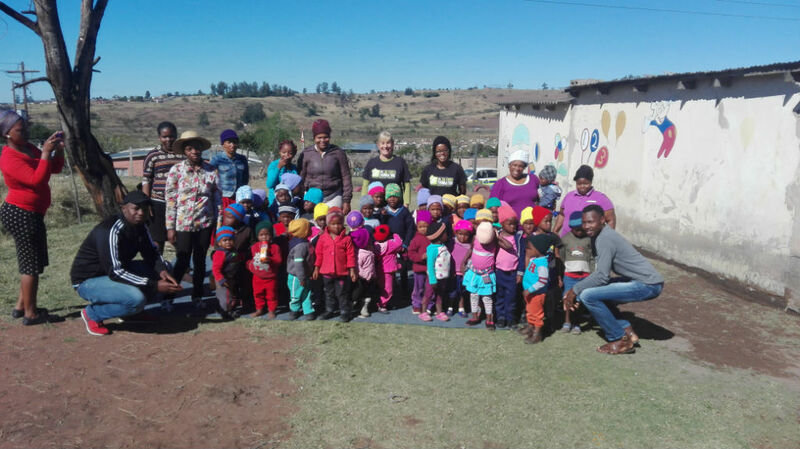 Annually Marion Parker and her Knitters, knit beanies for children and the Foundation was delighted to be gifted 80 beanies and a special Gogo blanket from them. The JFF team joined with Constable Khomo and the volunteers from Hammersdale Victim Friendly Room at SAPS Hammersdale on a drive where the beanies where delivered. The Foundation used this opportunity to sing to the little children on how precious their bodies are and encouraging them to talk to someone if they feel uncomfortable with touch in inappropriate areas of their body. Thank you Marion and Knitters and SAPS Hammersdale it’s great working together with you all to make the difference in the future generations of our great country.